Peter Hurley will talk about the equipment, workflow, direction and other things needed to help create a better headshot. 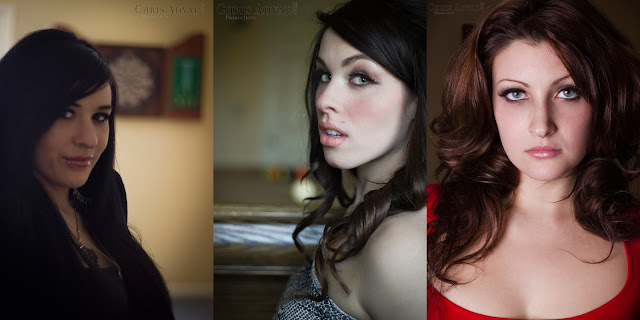 Sample Video from his DVD "Peter Hurley The Art Behind The Headshot"
Photoshoot PREVIEW: Stephanie B., Janine G., Katelyn G., and MissVoodoo! Stephanie B. MissVoodoo Janine G.
Click Photo to View Larger! CASTING CALL: Swimsuit REAL Red Heads Calendar 2013! - PAID MODELING! Travel Expenses are provided at $.20 per mile round trip. Must have valid government I.D./Drivers License. Age: Any models under 18 are disqualified sorry! The production of this shoot will last until July 31st 2012 for 2013 Calendar. All shots will be in the studio until warm weather is upon us (spring/summer months) then we'll shoot outdoors swimsuits. Wardrobe: Please be prepared to bring your own wardrobe, it is preferable you bring STRING bikinis, solid colors only, no extreme colors (bright colors). Bikinis MAY be supplied! If you're a clothing designer and want to show your work please private message me or contact me with the contact info below. What is required before we shoot? You MUST shave your entire body but your head. You must NOT have tan lines. Contact me to setup a shoot if you're interested and would like to discuss rates. SPONSOR: Sponsoring Opportunities is also available to being featured/advertised in the calender, please send offers at the above contact information provided. I'll be making my first professional photo prints order for studio display. And it’s not any typical standard print, it will be a 16x20 Metallic print. I'll be ordering it from two different pro photo print labs, one is mpixpro.com and the other adoramapix.com. 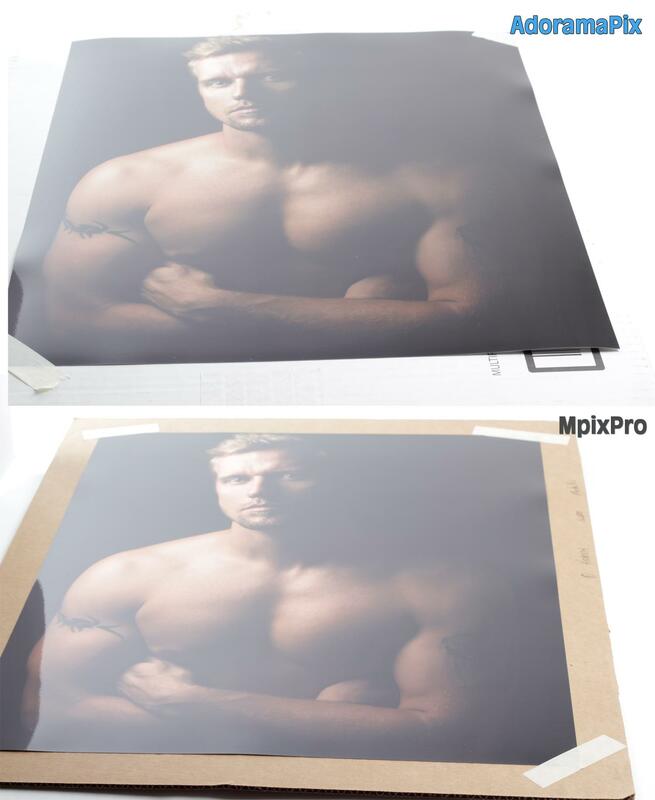 I'll be making a comparison video Mpixpro vs. AdoroamaPix specifically for 16x20 Metallic prints. I'll be making a clear disclaimer many times in the video about its just a comparison based on the 16x20 Metallic prints, but as well shipping/processing speeds, and cost for quality of print. As you may know mpixpro is the more expensive option (a Metallic 16x20 print for $19.99, for lustre coating add-on $2.04, and Linen Texture add-on $1.41), but mpix charge less for 2day fedex shipping ($4) than adoramapix are cheaper in services (a Metallic 16x20 print for $11.68) but they charge more for shipping 2-4 US Postal mail ($6). Total cost for a Metallic 16x20 print from mpixpro.com without add-ons with shipping is about $25, and adoramapix.com total cost for Metallic 16x20 print with shipping is about $18. 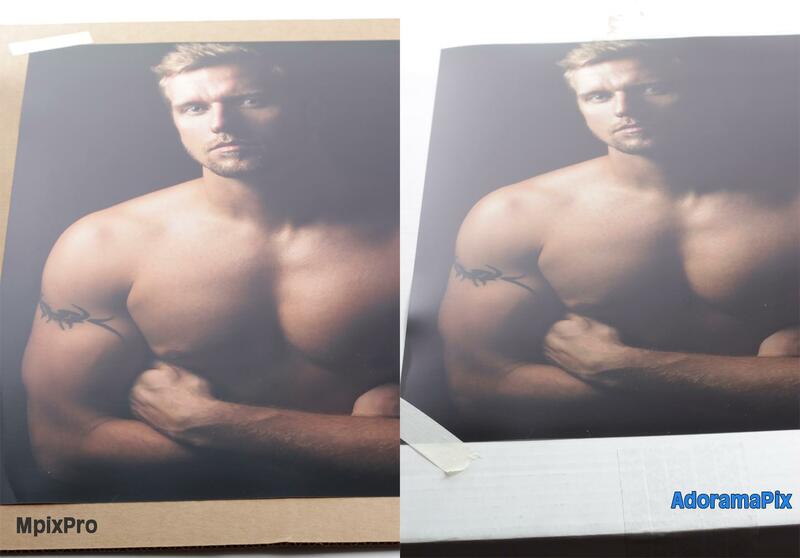 So clearly you may be paying more for an mpix print with about the same length of time, but who knows, we'll see in how long it takes for both labs take for the same order. So it may or may not be equal... we'll see during a video I'll be posting once I receive it from the labs. The first video will cover prepping the photo for print specifically for a 16x20 print which should be easily simple for most, but for those who want to know I'm sharing my process of prepping the photo for this kind of print. Side-by-Side comparison, with harsh and soft light to see how it does with reflections, etc..